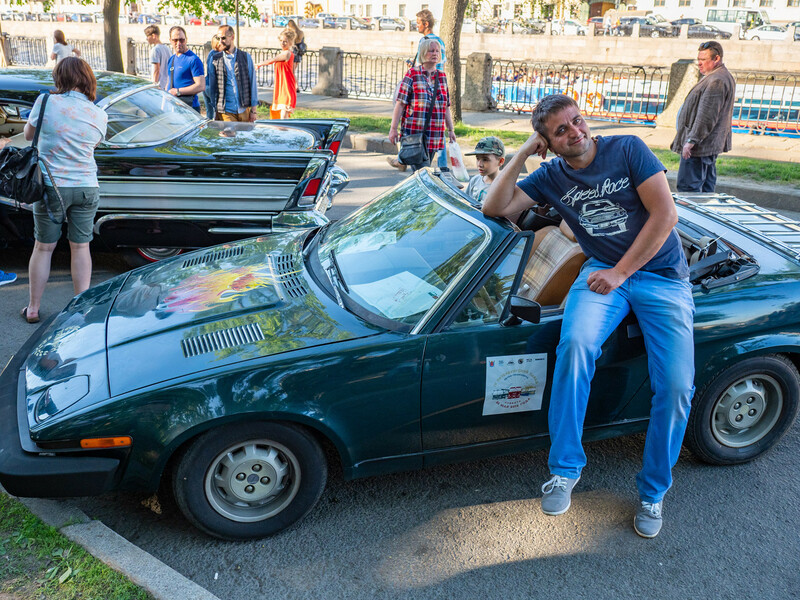 To breathe life into these cars, many participants in the fourth parade of retro cars in St. Petersburg on 26 May had to perform feats of heroism. Someone even had to get married to buy the car of their dreams and rescue it from vandals. I am the owner of this 1953 Chevrolet 210 Deluxe. I bought the vehicle in 1996 but had known it for a long time because the car had been abandoned on the embankment of the River Moika. All my childhood I had walked past it and felt a need to save it. It had been abandoned for so long that in the end it had been towed away to the car pound on Obvodnoy Canal where all its windows had been broken, the roof dented and everything stolen that could be removed. In order to buy the car, I had to get married because I immediately borrowed $800 from my mother-in-law and bought the car two days after the wedding. It's really true! I put it in a garage. At the time I had no skills and didn't even have a driving license but I had a burning desire to restore it and it took me 18 years to do it. During this time I acquired two more American cars. I finished this one and did almost everything on it myself. I fulfilled my childhood dream and got hooked. The car is for summer use and in warm weather I employ it as a vehicle for everyday use. I can take it anywhere at any time - around the city or to the country. I've taken it to Sweden and Latvia to attend American car rallies. A vehicle reciprocates its owner when it feels loved. It starts at a turn of the key and doesn't cause its owner any trouble. Inside it is completely genuine. In the 1990s I even used to find the parts that people had unscrewed from this Chevrolet when it had been standing in the pound. 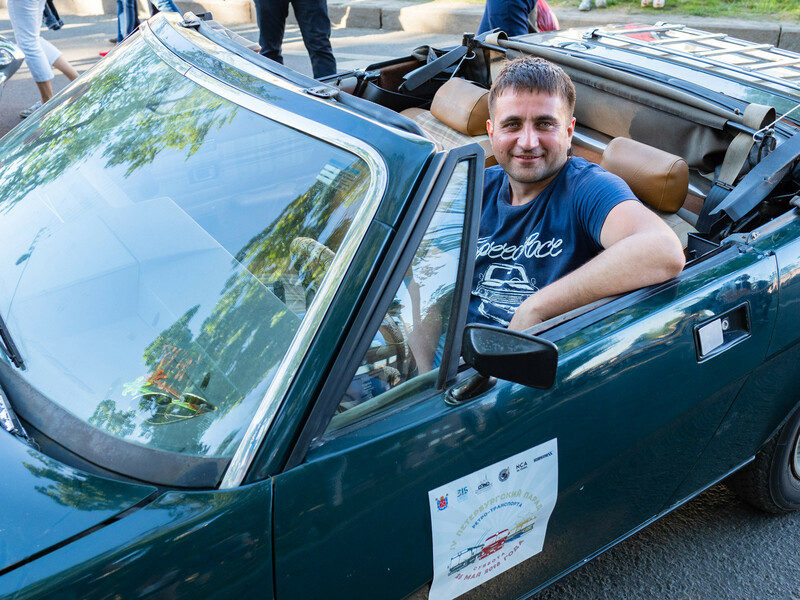 Once at a car show a man came up to me and asked: "Is this the vehicle from the car pound at Obvodnoy Canal? It was I who jumped on the roof and smashed the rear window." Our paths had crossed several times previously - he had offered me a light for a cigarette and towed me in another vehicle - and now it turned out that he had also smashed up my car. Now everything in the car is genuine. None of my friends believed that I would ever finish restoring it, but in 2014, I did. I didn't even think "at long last" - I had simply always known that one day it would go again. 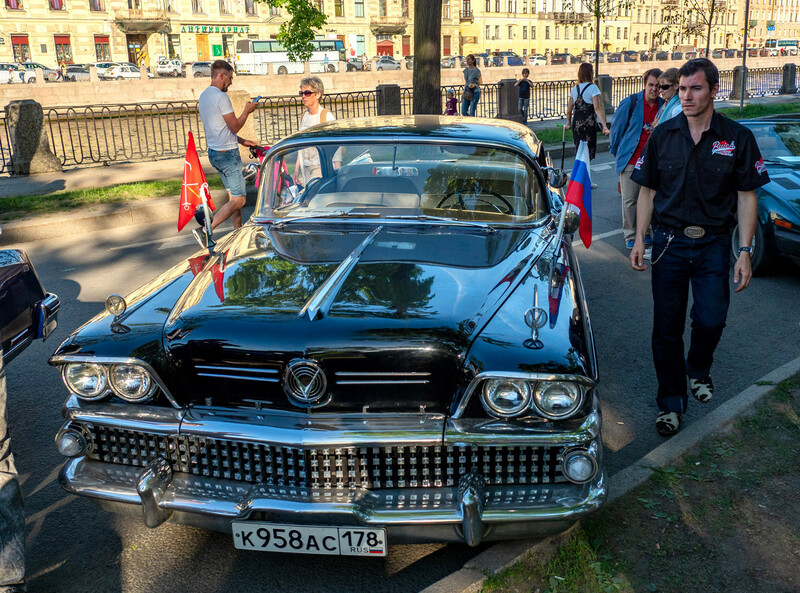 Unfortunately, there are no real private museums of retro cars left in St. Petersburg. In the winter our vehicles stand in the car park of the Piterland shopping center where they can be seen as part of the Muscle Car Show. 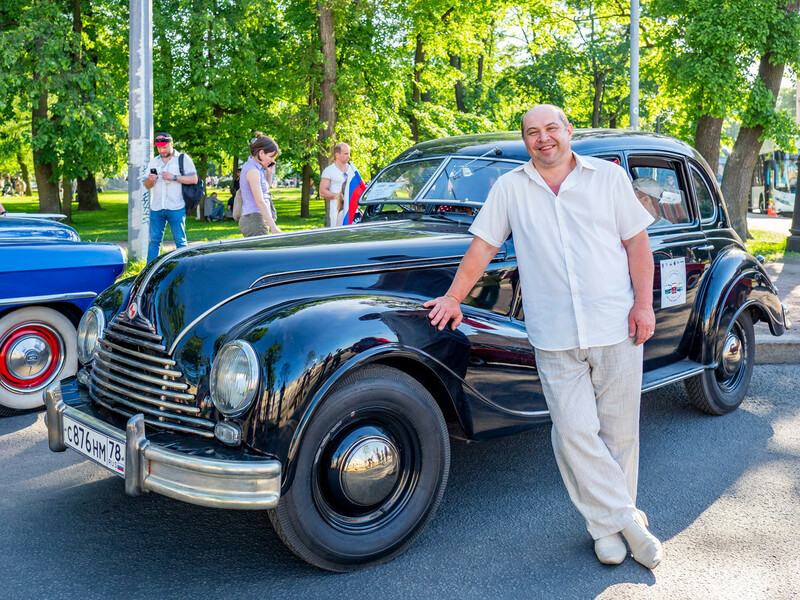 But I would advise all fans of vintage vehicles to go see the Museum of Electric City Transport on Vasilyevsky Island and the Russian Railway Museum. This model is a 1951 EMV-340 (Eisenacher Motorenwerk). Essentially it is a BMW but made in East Germany. These cars were produced between 1948 and 1953. I bought it 14 years ago when I saw an advertisement in a newspaper. A recently widowed elderly granny was selling it. Her late husband was not just anyone: he had worked in car maintenance service of the General Staff of a military district and had personally brought the car from Germany when he was a young officer. It was in a terrible state. I paid $1,000 for it but you can imagine how much more I still had to put in to turn it into a gem. I did everything with my own hands in my free time - when I was young I had worked as a car mechanic. Last year we compiled an information pack for the car because we would love it to appear in a movie. 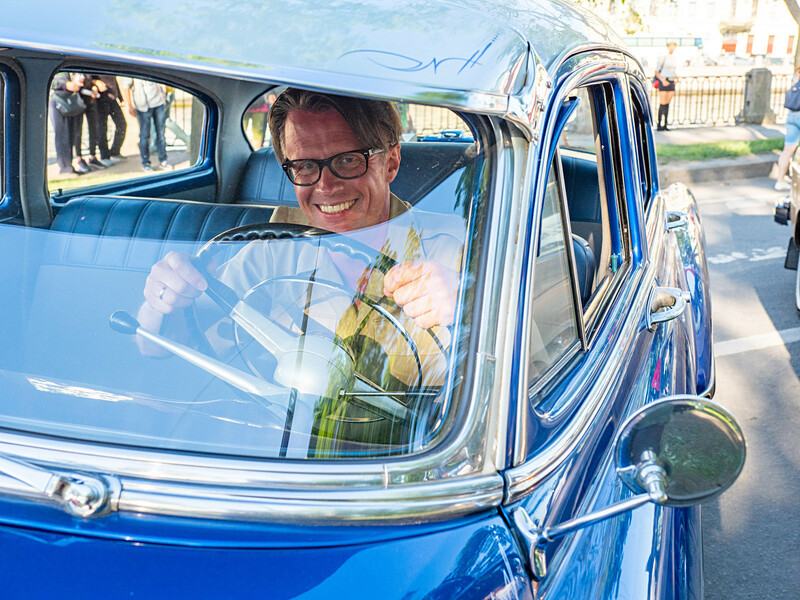 I am taking part in the show for the first time - more often than not I just drive around in it for pleasure. This is a 1980 Triumph TR7 Spider. It is the only one of this type in Russia. It was the last Triumph model. Until 1982 they were made in Britain by British Leyland. But mine is the American version. It has been repainted - originally it was brown. Everything in it is genuine except the sticker on the bonnet (it was put on in the U.S., so I left it). I acquired it as part of another deal in 2012. It came as a bonus with another car, but in Russia it is a very rare model. I use the vehicle as a toy - to go for a ride around the city or to a car show. Of course, in winter it stays in the garage. My vehicle is a 1958 Buick. A real American brand from the time when cars were big, solid as iron and built to last for centuries. This year the vehicle will turn 60 and, in my opinion, it looks very good for its age and moves perfectly under its own power. We bought it eight or nine years ago in a rather pathetic state in Moscow. We spent four solid years restoring it. The restoration required a lot of time and money. We use it to go to various events: It’s the third year running that we are taking part in the retro car parade. 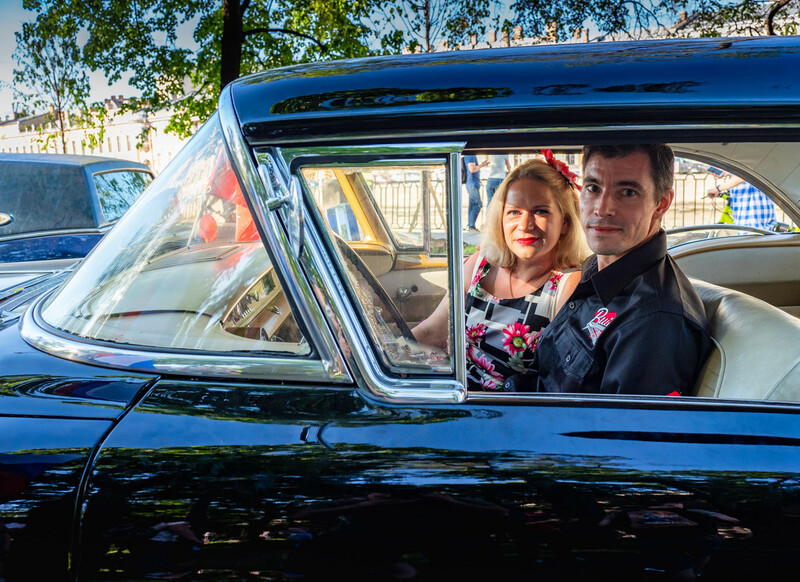 We travel in it to Finland and Sweden for major shows of American retro cars. Last year we covered 1,200 miles around Scandinavia. We try to use the car for its intended purpose. But we use it only in summer and only in good weather. 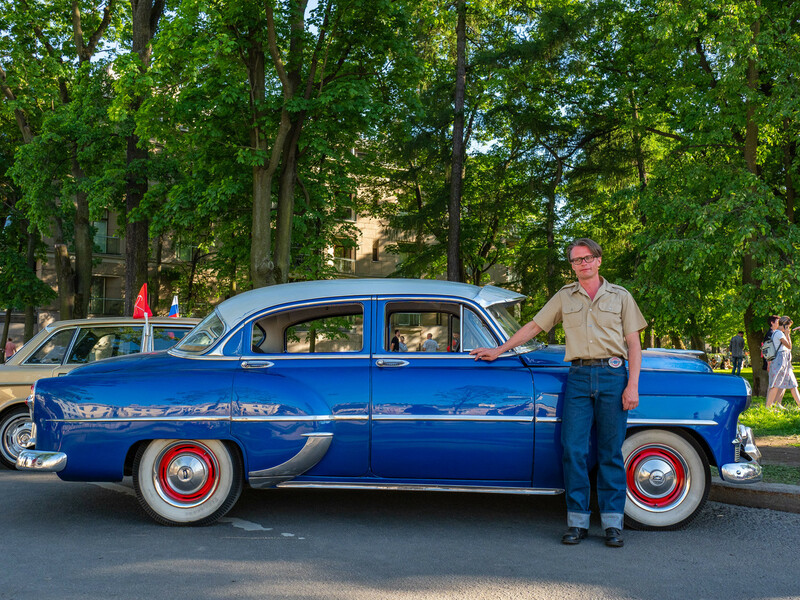 We especially looked for a car manufactured in the 1950s, but there are very few good retro cars in Russia. And there are only 10 cars like this in the whole country and fewer than half of them are in running order. I worry a lot about my Buick and am always having to kick someone out of the car, but what can I do?! I keep it in the garage and leave it outside the house for one or two hours at the most.